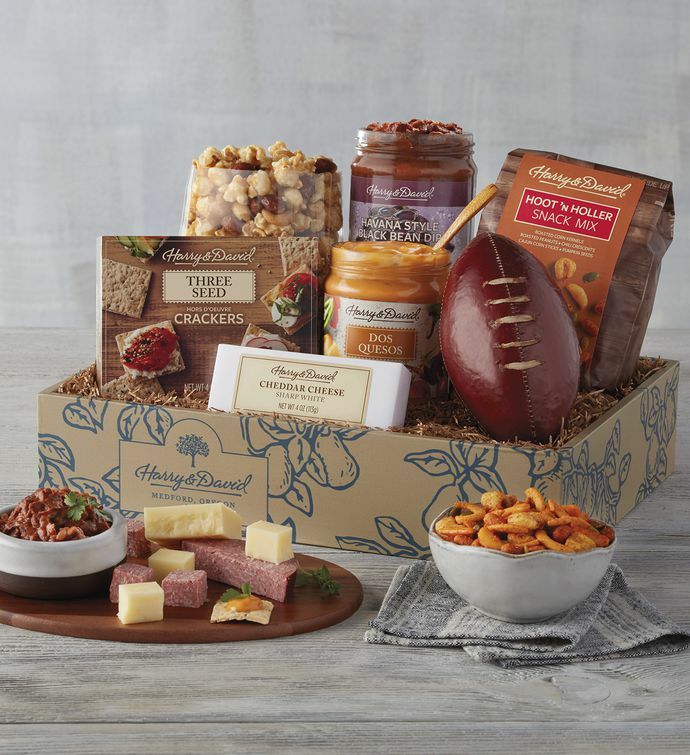 Celebrate football season in style with the Hometeam Snack Box, filled with some of our favorites for prime-time snacking. We start with Moose Munch® Gourmet Popcorn from our own candy kitchen, then add some surprises, including a hearty football-shaped beef sausage and Hoot 'n' Holler Snack Mix. 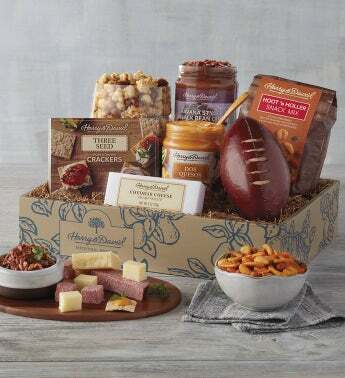 This premium food gift makes a excellent tailgating snack or football party spread.